These decals are the CUT Decals and not printed. 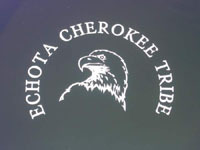 This means that each decal is cut out of 2.5 mil thick vinyl. 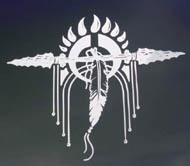 This vinyl has a 5 YEAR outdoor durability and basically almost unlimited indoor exposure durability. 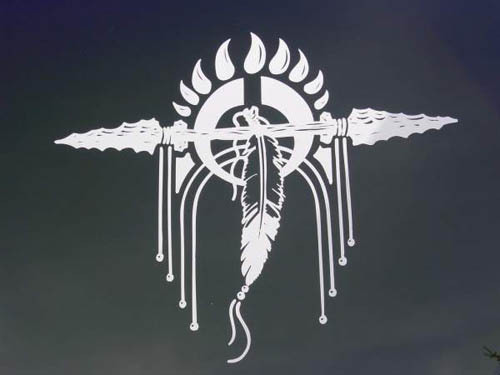 This means that your decal when PROPERLY applied to your Automobile, Recreational Vehicle, trailer, display case, carry case or basically any indoor or outdoor glass, metal, or painted surface will last for a long time and are not easily removed. Thought and Care should be used prior to application. Method of application is fairly simple. 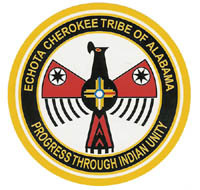 Start with a Clean, dry surface (remove grease, grime and dirt-clean glass with a good glass cleaner), Carefully Peel off the solid colored paper backing and carefully place decal on preselected spot. Using a credit card, drivers license or other firm piece of plastic start at one end and carefully work towards the other end applying pressure as you go (be sure to get bubbles and wrinkles out as you go). Once it is in place and smoothed out, use a soft dry cloth to rub the entire paper covered decal surface to firmly seat the decal. Finally, peel the covering paper off of the decal by starting at one end and pulling the paper back with firm even pressure. Available colors are white, red, dark blue, and yellow. Chrome is available at a premium price, please call. 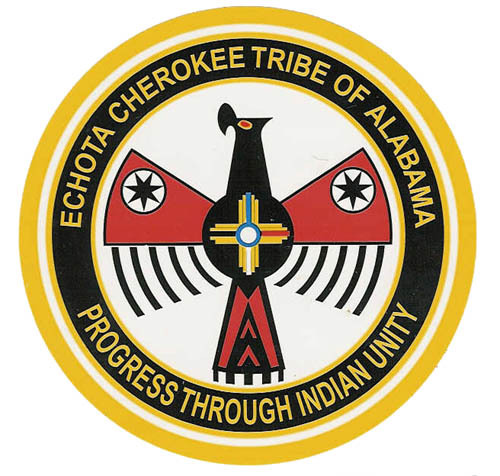 These are the approved Echota Cherokee Tribal Logo and were done with the approval of Chief Billy Shaw and Tribal Chair Person Charlotte Hallmark. These are printed decals, not cut like the others on this page. They are 4" in diameter, printed on white vinyl with the adhesive on the back. Please note that these decals have "Weather Guard" applied to prolong the life of the decal. 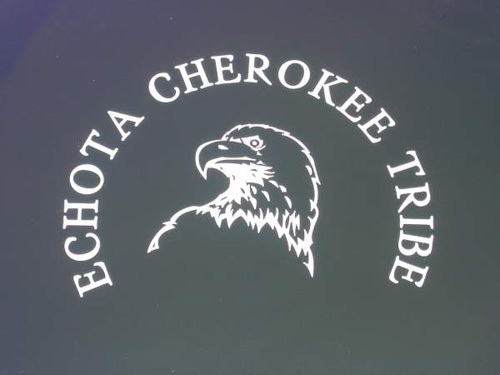 Please note that we at Cherokee Trails Trading Post voluntarily donate a percentage of each sale of items containing Echota Cherokee Logo items back to the Echota Cherokee Tribe. Decal Larger View Use Your back Button To Return To This Page. Wonderful window decal, suitable for auto or home windows. 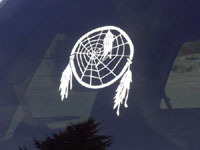 Simply follow the directions above, and you will have a custom design on your window in no time at all. Available in white, red, dark blue, and for an additional price, chrome and rainbow metal.